Would you like to learn how to quilt? The Rodgers Library can teach you how! 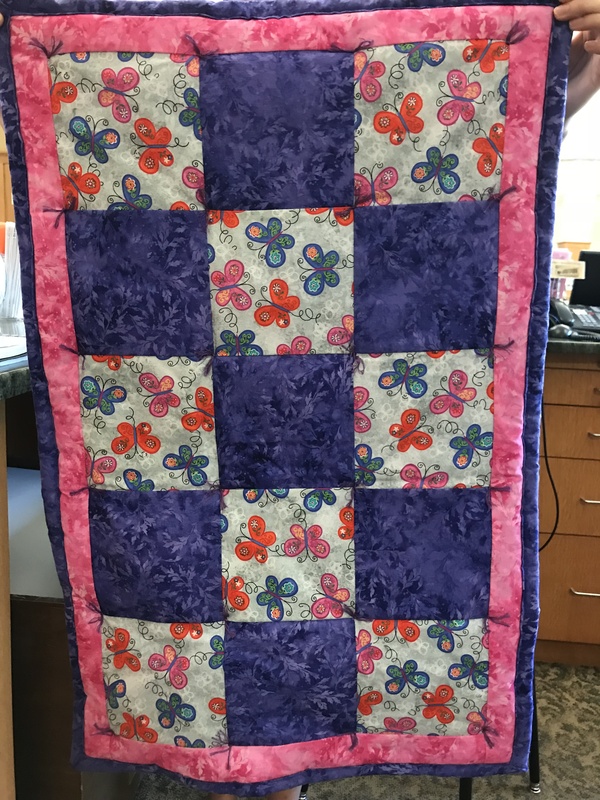 Register for a 5-week beginning quiltmaking course beginning on Tuesday, September 25, and learn how to quilt two, if not three, baby quilts by the end of course (see image). NOTE: This is a basic course on quiltmaking, aimed for people who have never quilted before - but who can sew a straight line. The course meets for five (5) classes on Tuesdays, 6-8pm: September 25, October 2, 9, 16 and 23. Registration is required for each individual class. Register through the Events Calendar for each class. A list of required materials will be provided at the first class. Registrants are responsible for purchasing these materials. Registrants must provide their own sewing machine. Attendance to all five (5) classes is strongly encouraged. Questions? Call the library for more information at 603-886-6030.